Rational Emotive Behavior Therapy (REBT) is a comprehensive, active-directive, philosophically and empirically based psychotherapy which focuses on helping people resolve cognitive, emotional, and behavioral problems. 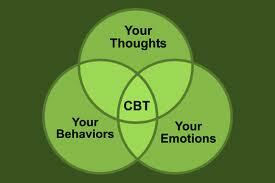 It was created and developed by the American psychotherapist and psychologist Albert Ellis. REBT is one of the earliest forms of Cognitive Behavior Therapy (CBT) and was first expounded and developed as a model of psychotherapy by Ellis in the mid-1950s. Maladaptive Belief Systems | Does Your Mind Manage You? The Rational Emotive Therapy theoretical framework assumes that humans have both rational (logical and coherent) and irrational (illogical and unfounded) tendencies. Convictions which are illogical and unfounded (and thus “false”) prevent goal attainment, and lead to inner conflict, more conflict with others, and poor mental health. Logical and coherent (provable, and thus “true”) convictions lead to goal attainment, better mental functioning, and more inner harmony. REBT claims that irrational and self-defeating thinking, emoting, and behaving are correlated with emotional difficulties such as self-blame, clinical anger, hurt, unhealthy jealousy, unhealthy envy, guilt, shame, depression, and anxiety. 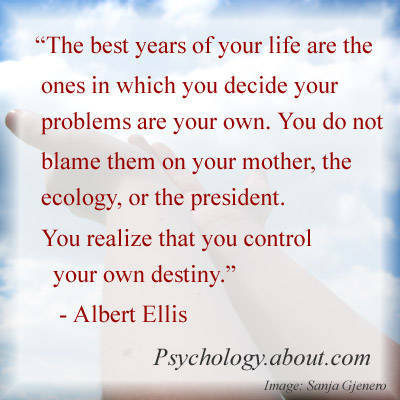 This view is shared with some other well-known therapies, such as Re-Evaluation Counseling and Client Centered Therapy, both of which also arose in the mid-50s, Albert Ellis has had a tremendous influence on both schools of thought. REBT provides an educational model and an active-directive process in which the therapist teaches the client how to identify false and self-defeating cognitions (belief systems) which, by their “irrational” (untenable) nature, are unrealistic, illogical, and “absolutistic,” and then teaches clients to forcefully and actively dispute them, and to replace or modify such philosophies with more logical, true, and self-helping ones. By using different rational-emotive methods and activities, the client, together with direct help from the therapist (and dedicated rehearsal of homework exercises) can gain a more logical, constructive, and reasonable way of thinking, emoting, and behaving. One of the main objectives is to show the client that whenever unpleasant activating events occur in their lives, they have the choice between making themselves feel “healthily and self-helpingly” sorry, disappointed, frustrated, and annoyed, or making themselves feel “unhealthily and self-defeatingly” horrified, terrified, panicked, depressed, self-hating, and self-pitying” (Ellis, 2003). While neither choice feels “good,” the second choice tends to make us unable to function or to take us off on a non-productive tangent of self-woe, while the first leaves us free to deal with the precipitating situation. Rational Emotive Behavior therapist and founder Albert Ellis says, “When people keep challenging and questioning their self-disturbing core philosophies, after a while they tend to automatically, and even in advance, bring new, rational, self-helping attitudes to their life problems and thereby make themselves significantly less upsettable.” (Ellis, 2003). To summarize, Rational Emotive Behavior Therapy teaches people to seek out and dispute their false, unhelpful convictions. You can increase your rationality and reduce your irrational beliefs by spending several minutes each day asking yourself the questions below, entering your answers in the text areas. 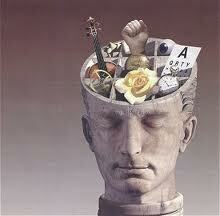 To get the best results, give careful thought to each question, and avoid relying on well-rehearsed answers. Once you have answered each of the questions, you can process the form to review your responses: Please print your answers and bring them to you next session with Dr. Hart.